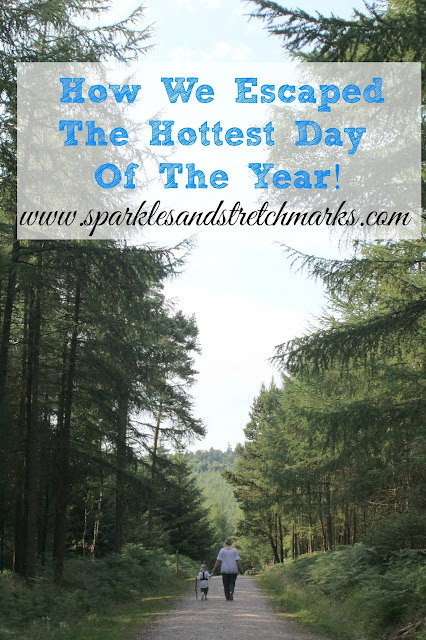 Last week, after days of already blazing sunshine and humidity, we heard the newsreader report that the following day was set to be the hottest day of the year. 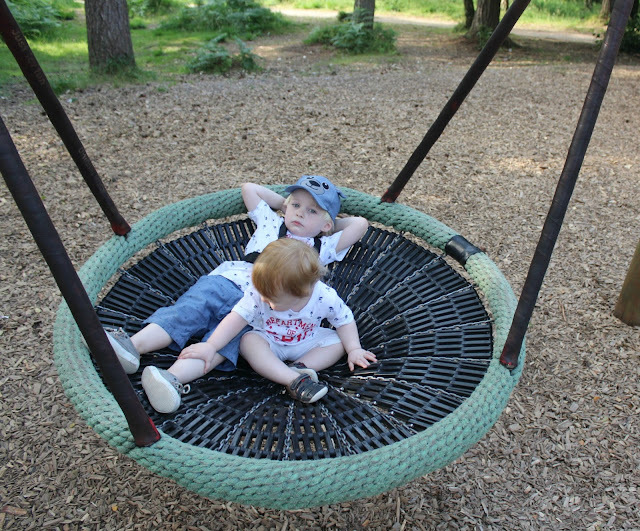 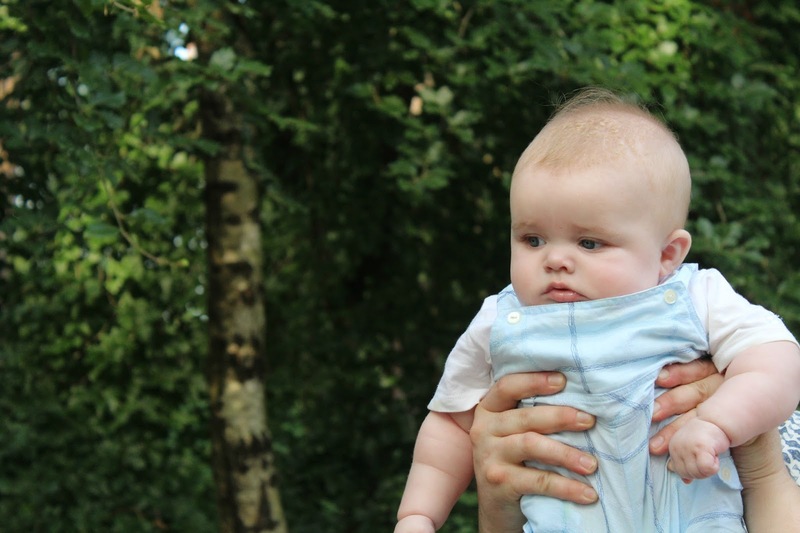 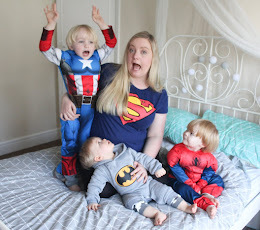 We'd just spent the day battling to keep our 5 month old and 15 month old cool as both of them seem to really dislike the hot weather, and so the prospect of a day even hotter wasn't something that had us feeling particularly excited. Instead, we decided to try and find somewhere we could go to avoid the heat as much as possible. 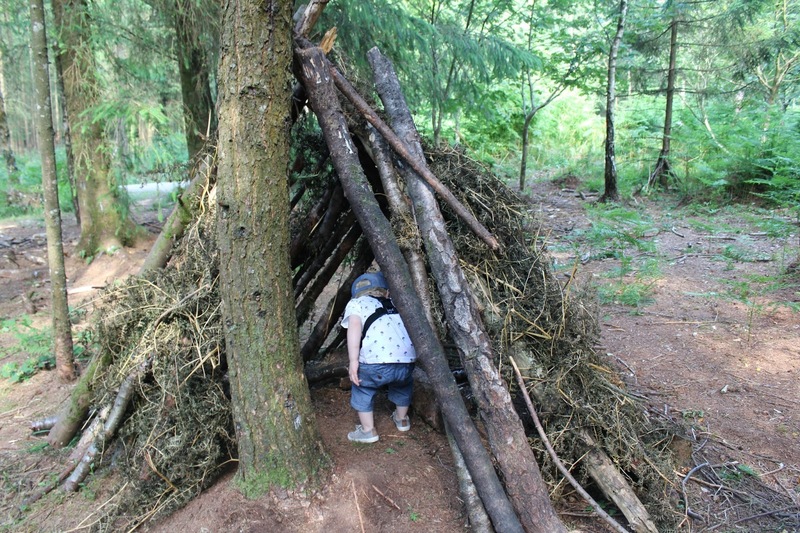 We'd been asked recently by Aqua Pura to share our idea of a Great British Day Out with them and so this seemed like a good opportunity to kill two birds with one stone - so instead of heading to the beach like most people probably would on the hottest day, we decide to seek shade - and so we headed to nearby Haldon Forest. 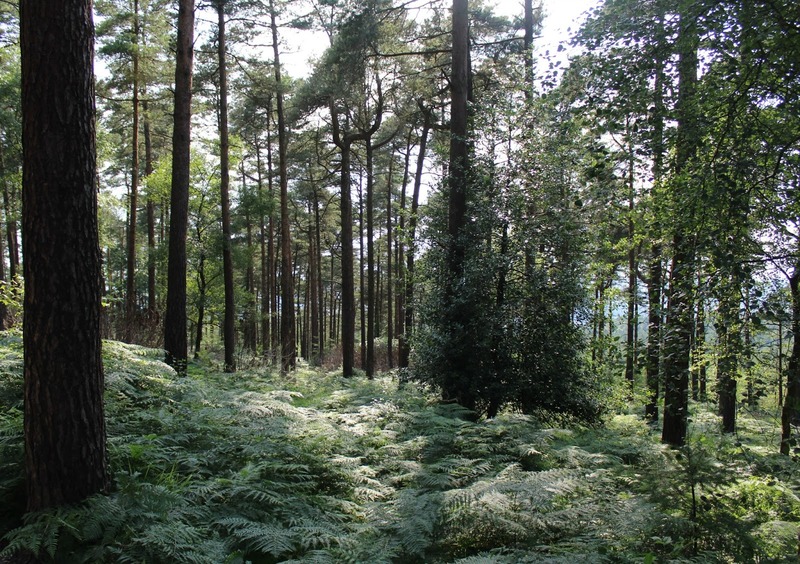 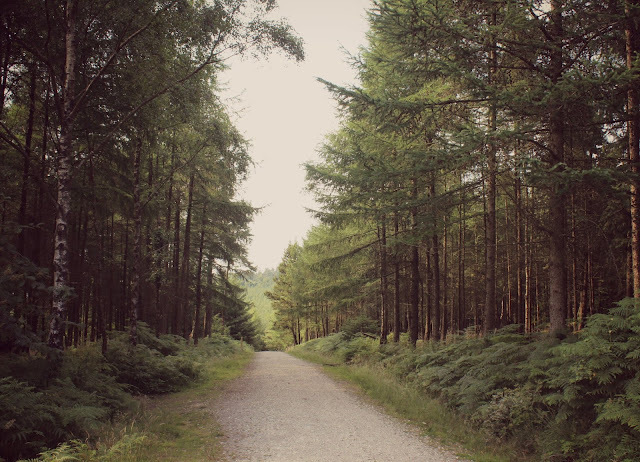 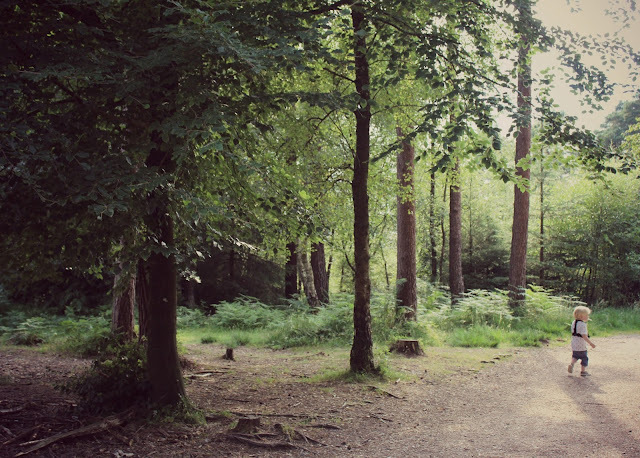 I'd seen the signs for Haldon Forest many times as we pass them most days, but as someone who's never been all that into nature I had never been tempted to go - it was around a 15 minute drive from our house before we pulled up into the large car park. 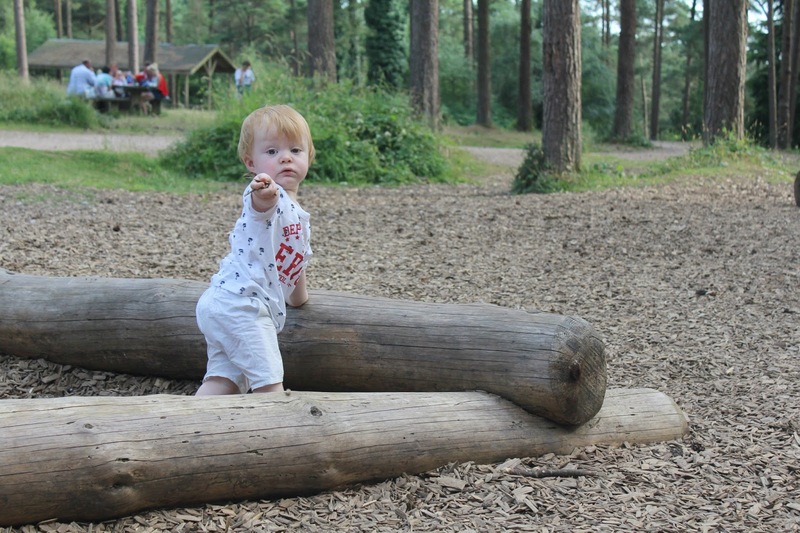 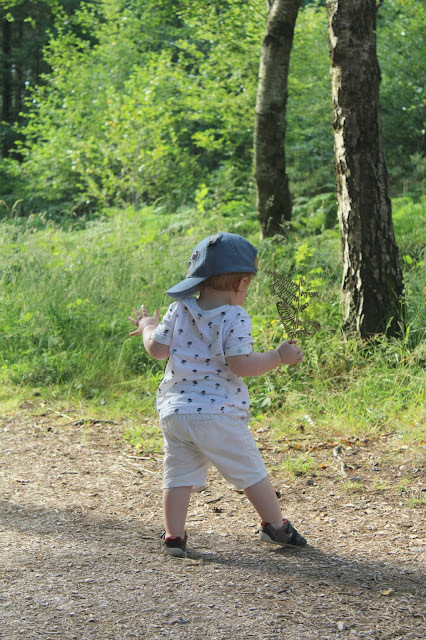 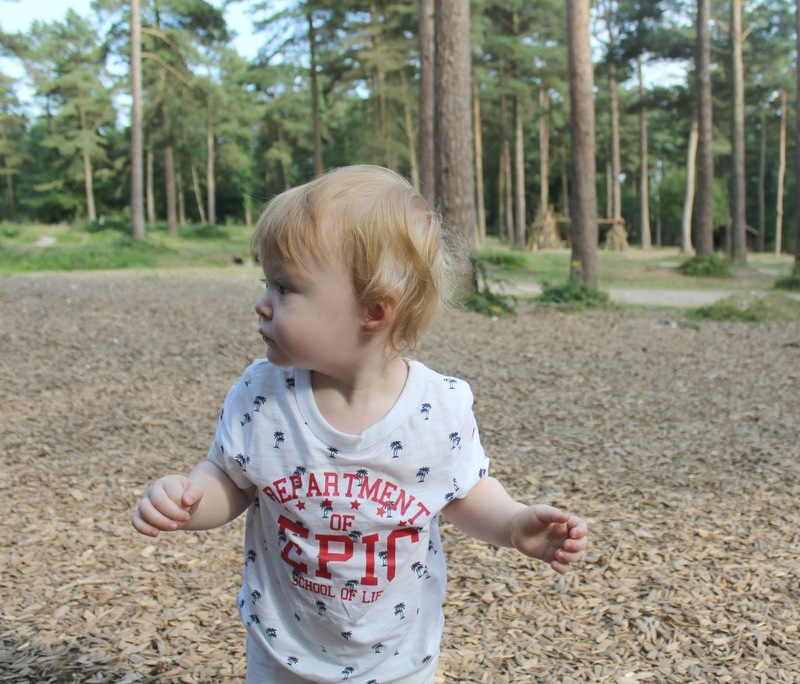 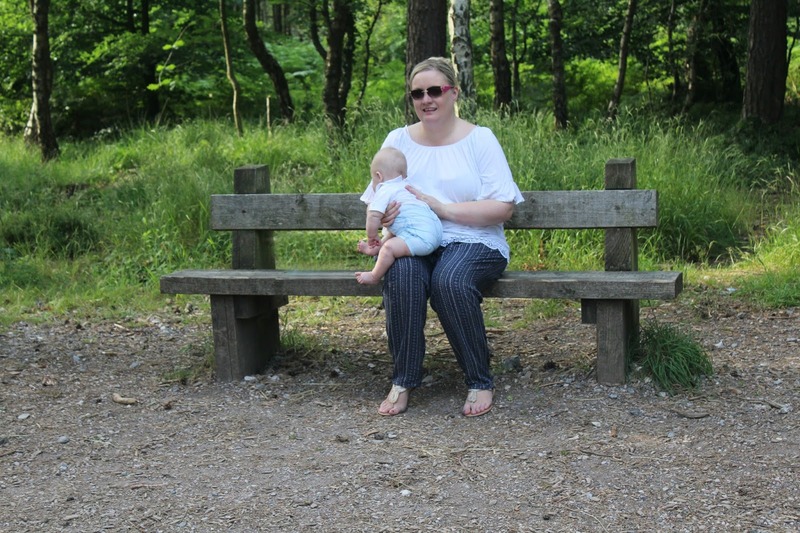 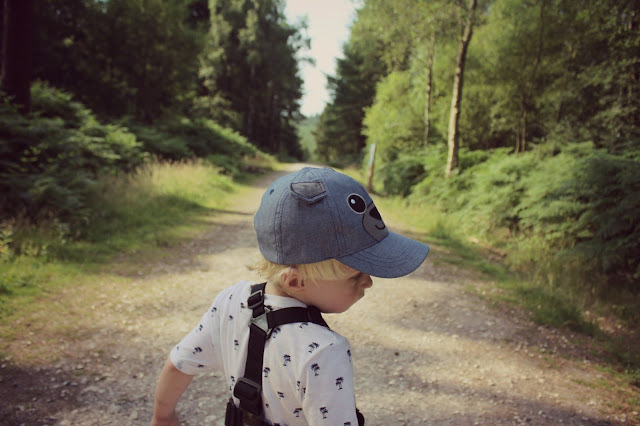 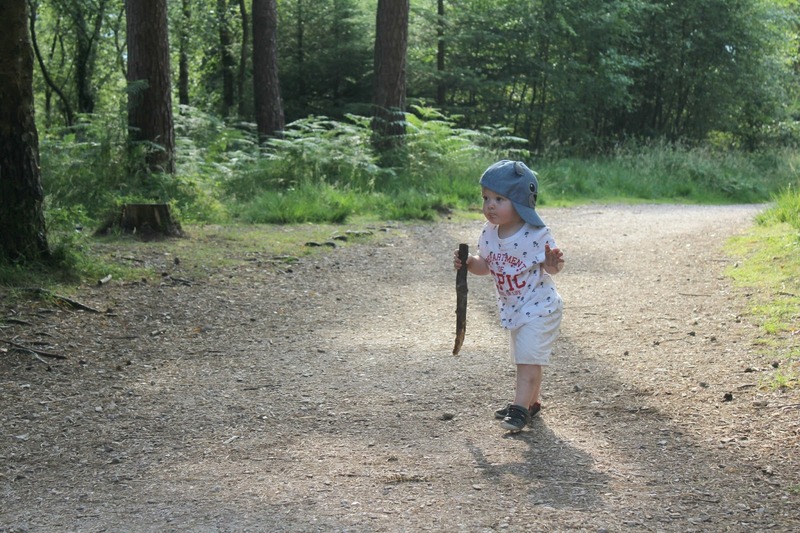 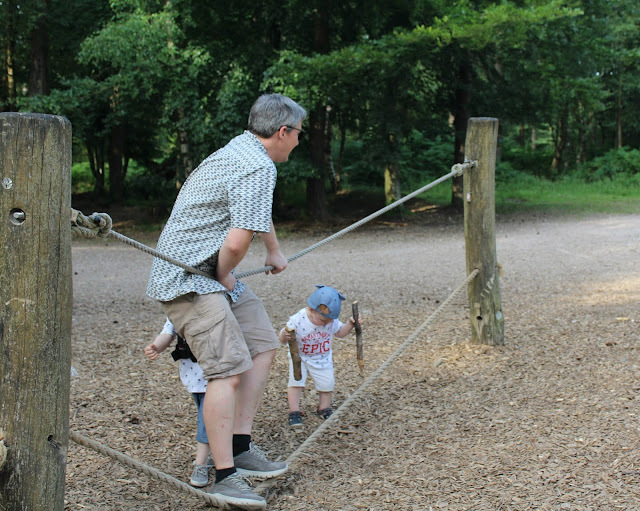 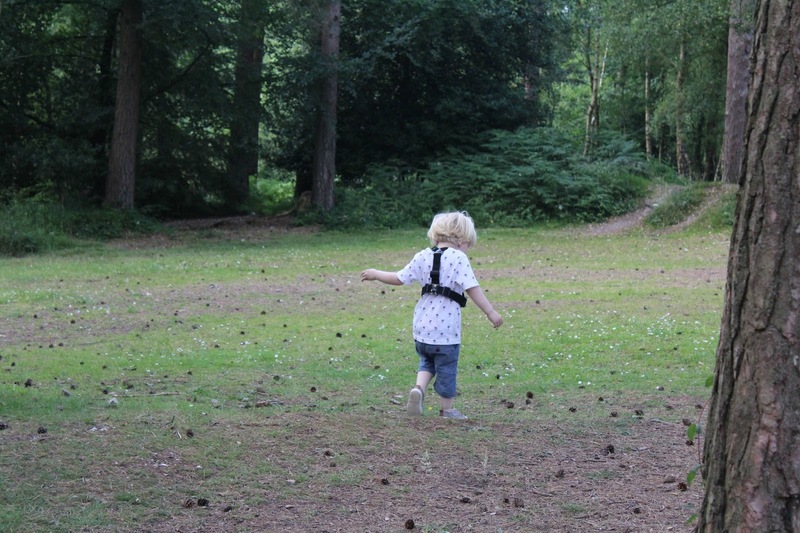 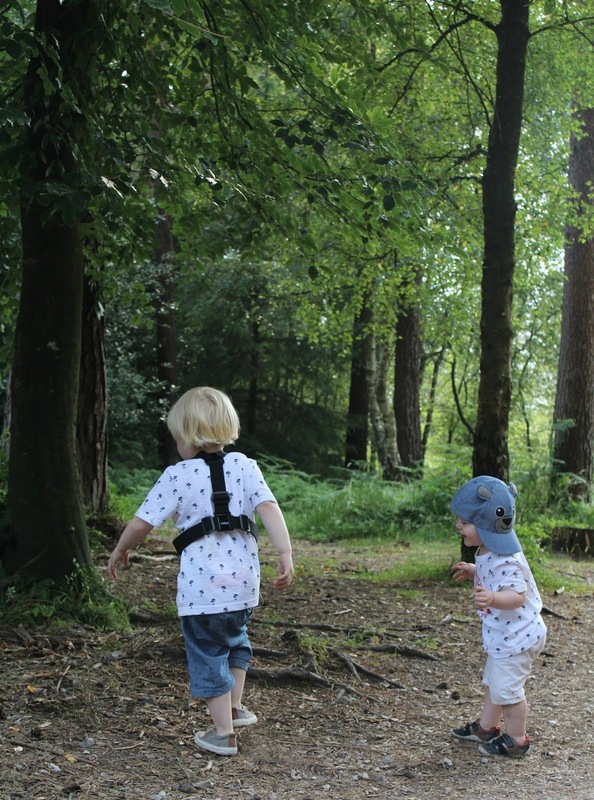 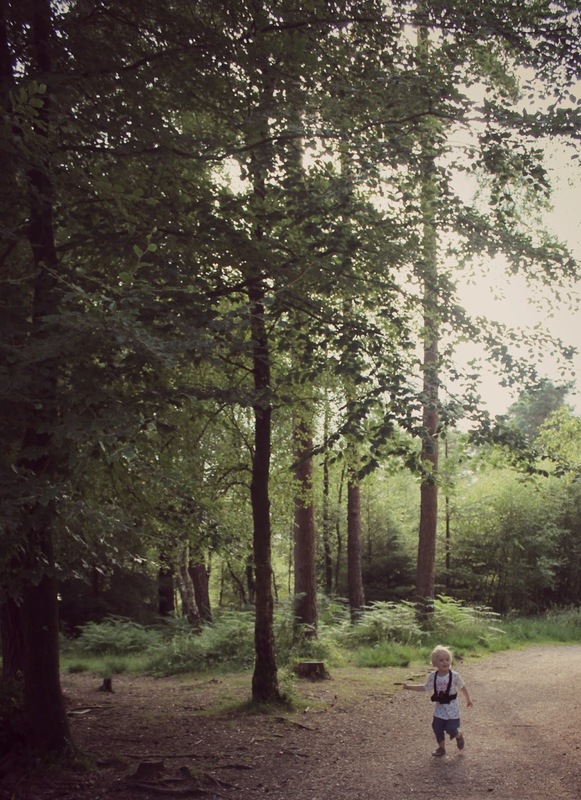 We loaded everybody out of the car, and decide to follow a trail - there were 4 or 5 different trails to follow and the signs stated whether they were easily accessible to pushchairs or not, so we chose the Stick Man trail which seemed suitable. 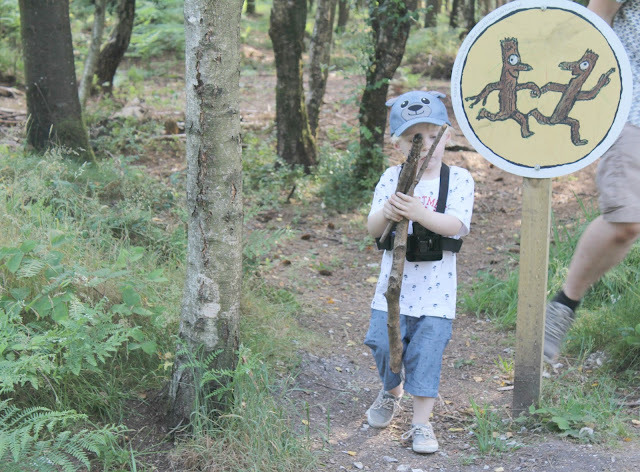 The Stick Man is a childrens book but not one that Tyne has read yet, I was a bit sad that we'd missed The Gruffalo Trail from last year as he loves that story but nonetheless he seemed excited to try and find The Stick Man anyway! 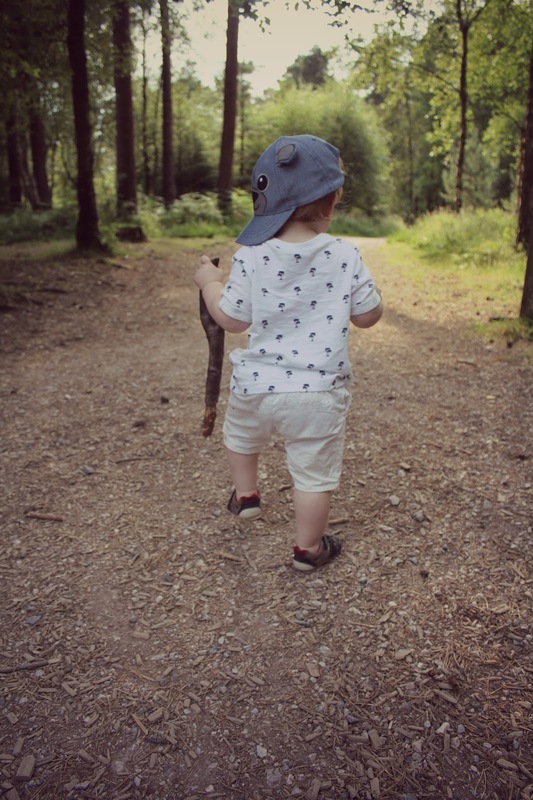 The trail was around half a mile long so the perfect distance for little legs, and Tyne managed it really well - he didn't ask for a carry at all, and was more than happy to run off and explore the woods. 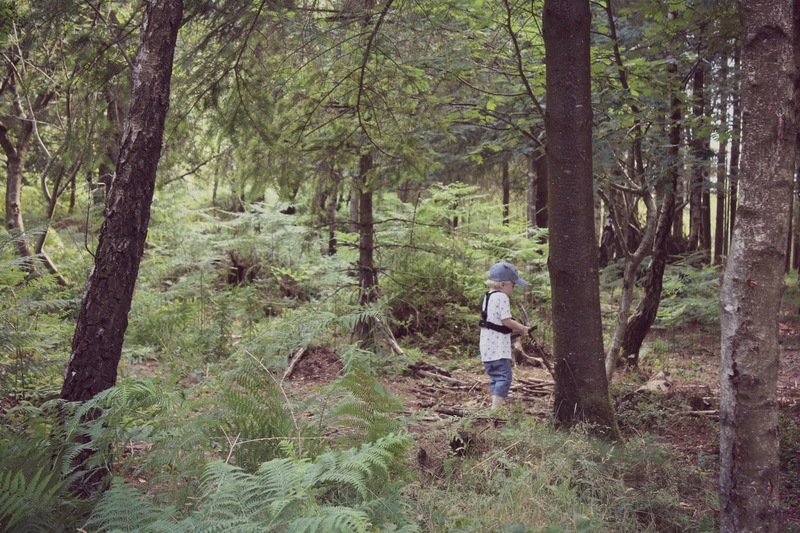 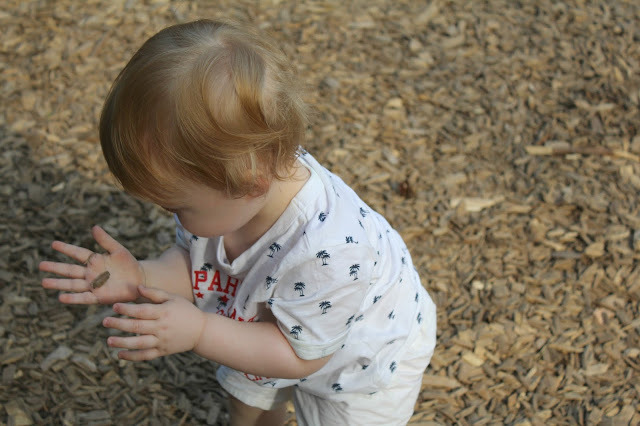 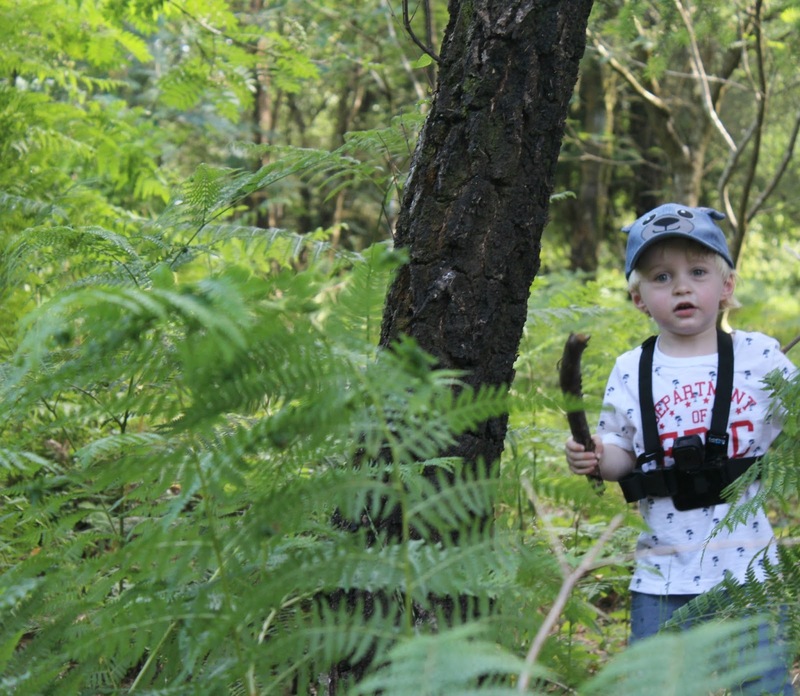 He loved collecting sticks from the forest, trying to spot different birds and butterflies (which there were a lot of! 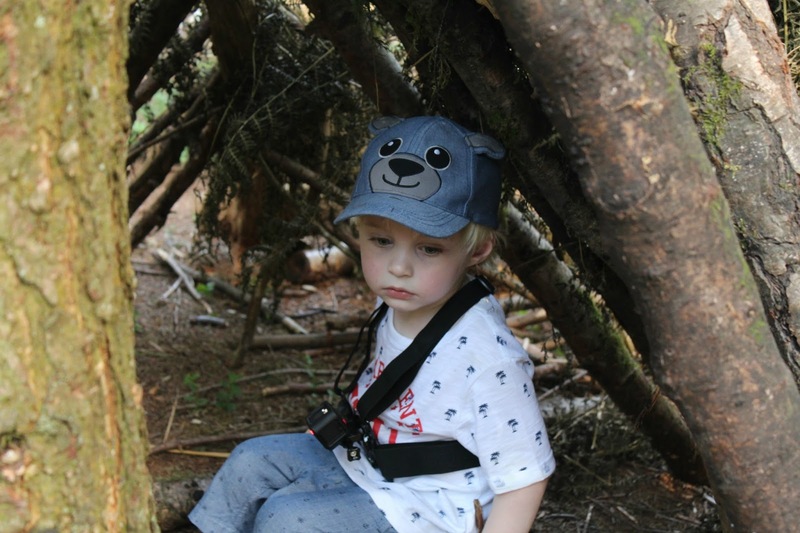 ), picking flowers, and was delighted when we came across a little den - he labelled it his Secret Cave and sat quietly in it for a good ten minutes or so, before deciding he wanted to build his own den! 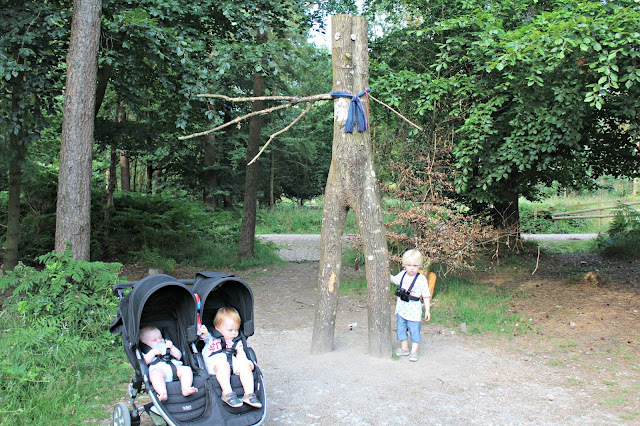 I kept the babies company while Daddy helped him to make one and occupied myself by snapping some photographs of our surroundings - I've never really thought of myself as a nature lover but I have to admit, the forest was beautiful - the trees were the tallest I have ever seen and there was something so peaceful and calming about being there - the sun filtered through the trees beautifully but the trees gave enough shade that it was lovely and cool, just what we had been hoping for. 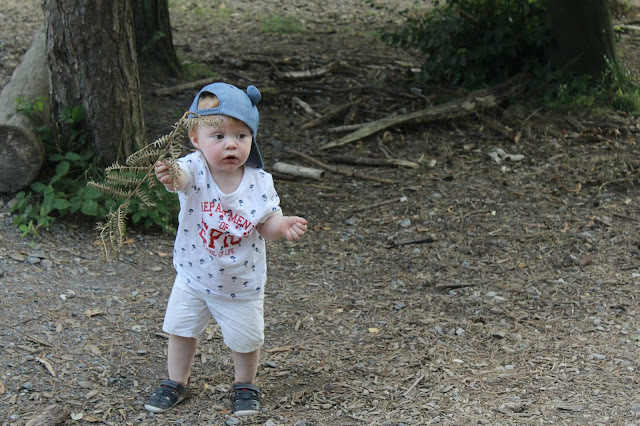 Sailor was very content looking around at the trees and flowers, and when we got to a safe spot Noah got out of the pram and had a wonderful time exploring - he loved kicking his feet on the ground and listening to the crunching sound of the twigs beneath him, picking flowers and - of course - trying to put all manner of stones, sticks and bugs into his mouth! 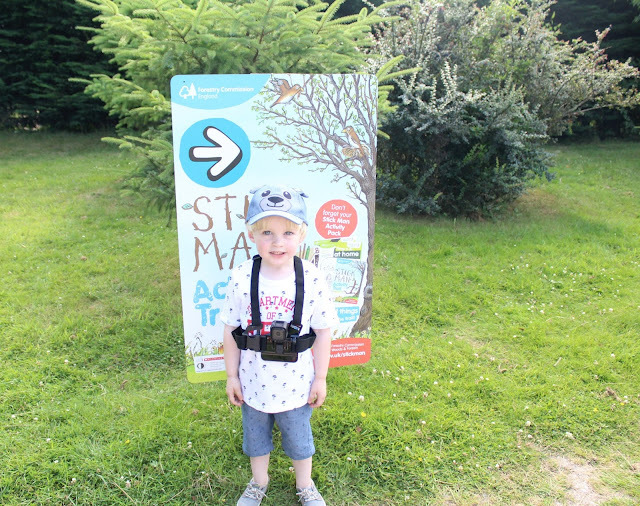 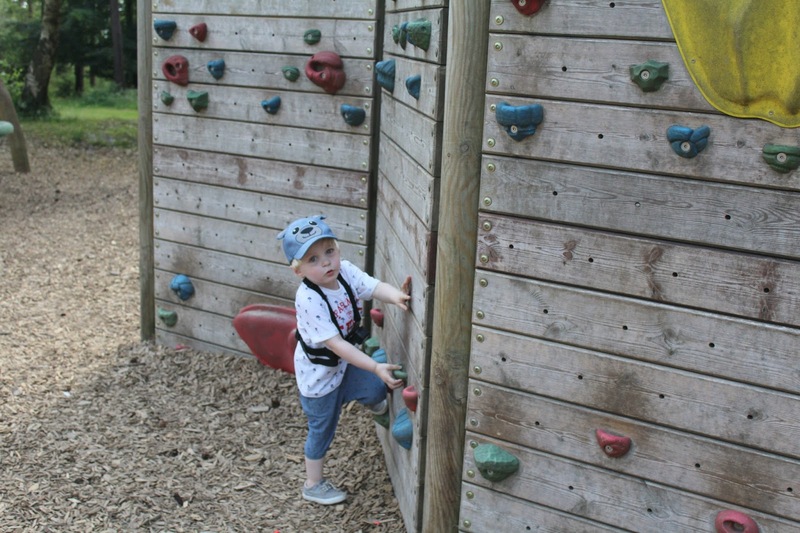 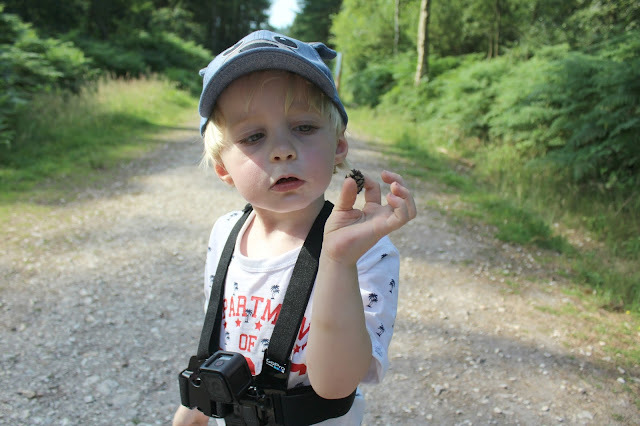 It was lovely to see the children so happily exploring this new environment and I loved that it opened up so many opportunities to chat with Tyne about nature - he asked so many questions while we were there and I feel like it was a wonderful learning experience. When he'd heard that we were heading to the woods he had mentioned the story of Hansel & Gretel and asked if he would be left behind like they were - I told him no but I'm not sure he believed me as he insisted on bringing along some bread so that he could leave a trail of breadcrumbs behind to find his way back like Hansel did! 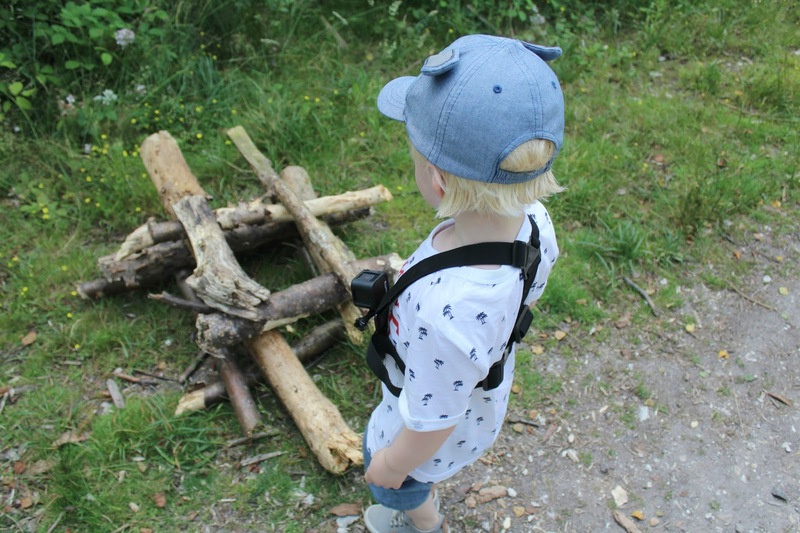 When we were deep into the woods he asked me to pretend to be the witch so that he could be Hansel, he loves to play those sorts of imagination role play games now and they are so cute to see! 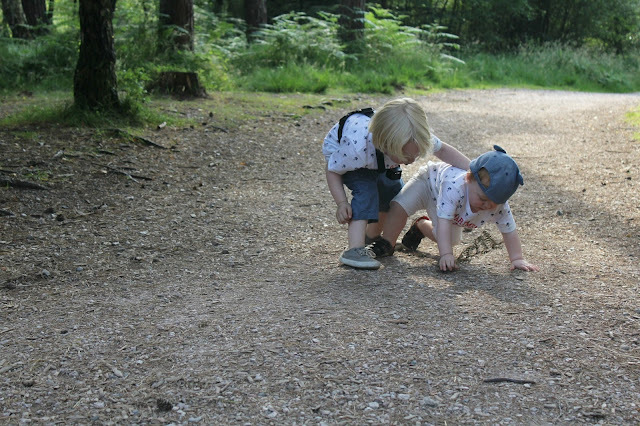 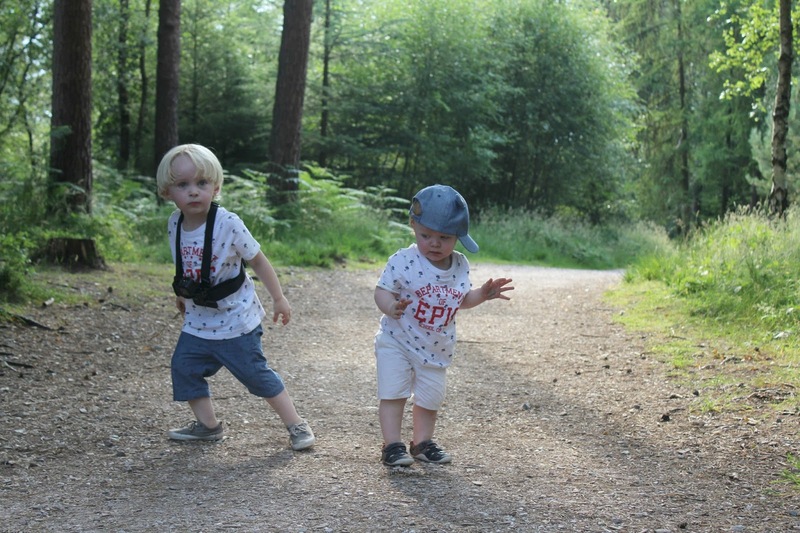 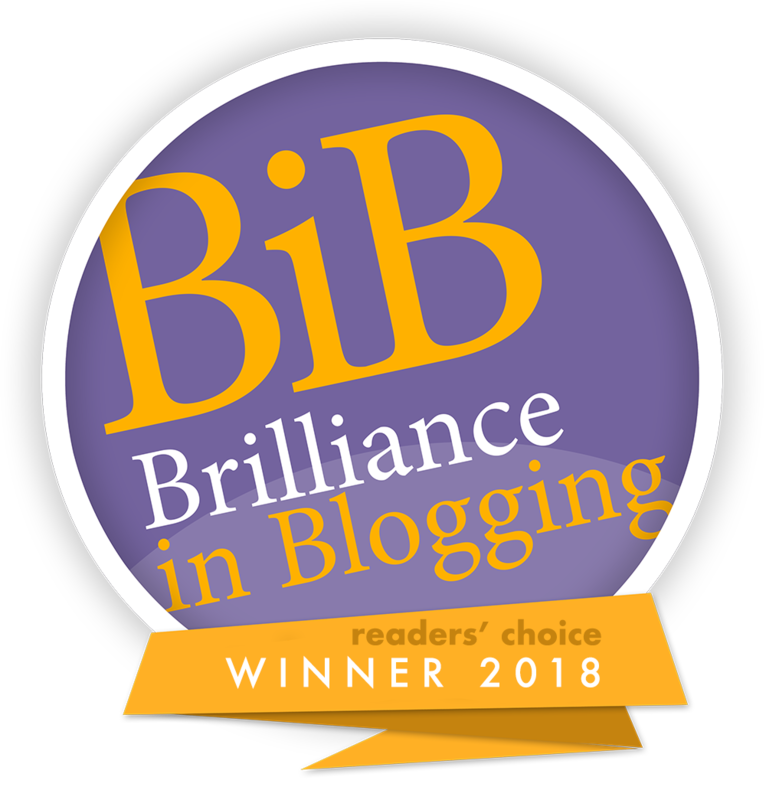 I also loved seeing how Tyne took charge of his little brother and led him around the woods, showing him the flowers and helping him up when he tripped over...they ran off ahead together like little explorers on their own adventure, and it was the sweetest thing to see. We found our way to a little play area, which Tyne and Noah loved and they played happily as I nursed Sailor and watched on. 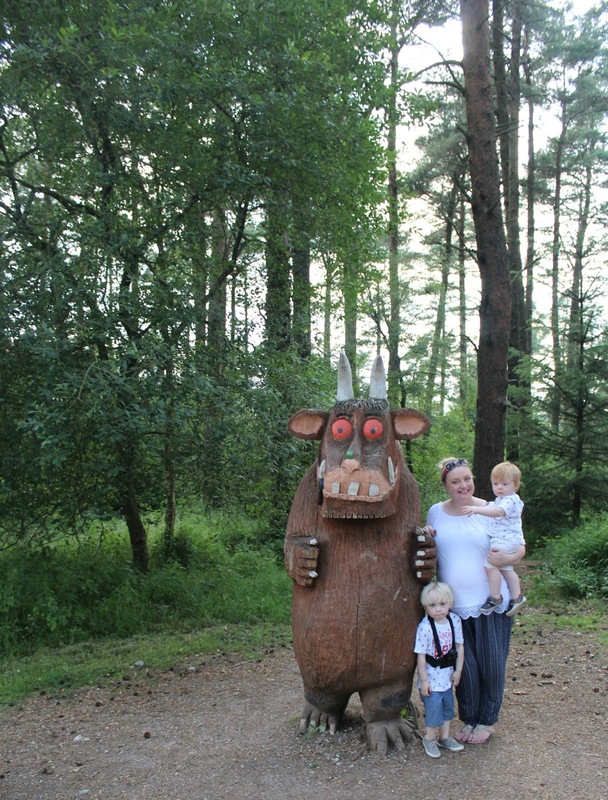 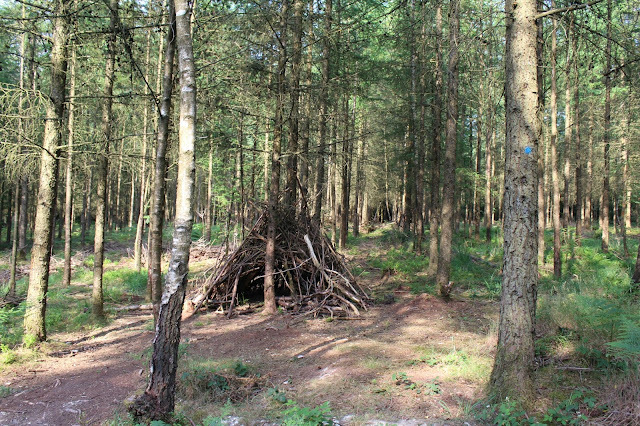 but more excitingly...we also found The Gruffalo after all!! 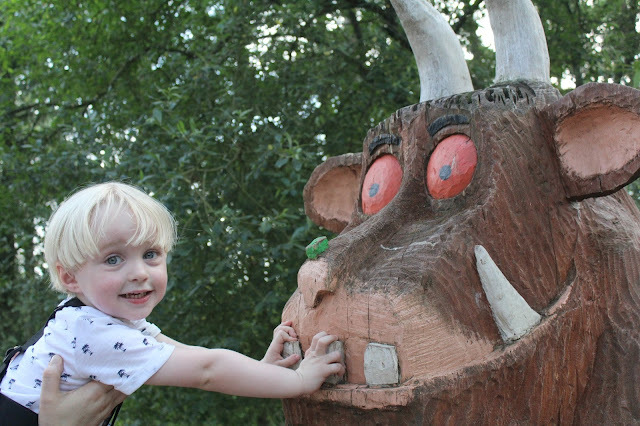 He was hiding just behind the childrens play area, seemingly left behind from last years trail - how lucky we were to find him! 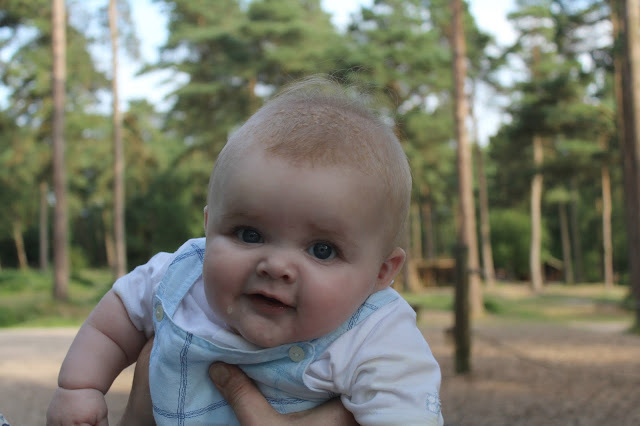 We all thoroughly enjoyed our day out of the sunshine in the forest, and I felt noticeably calmer and less anxious for a couple of days after our visit - I mentioned this to my anxiety therapist who said that there's a lot to be said for being with nature and that studies have shown that anxiety sufferers benefit greatly from spending time in these sorts of surroundings - so I think it's safe to say that we'll be visiting Haldon Forest more often in the future. 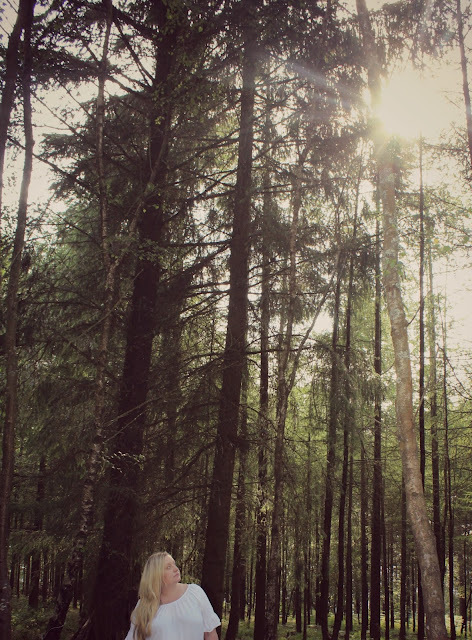 It really did all of us a lot of good.